Arsenal forward Reiss Nelson is set to be the latest England junior international to play in the Bundesliga with Hoffenheim on the verge of signing the 18-year-old on loan. 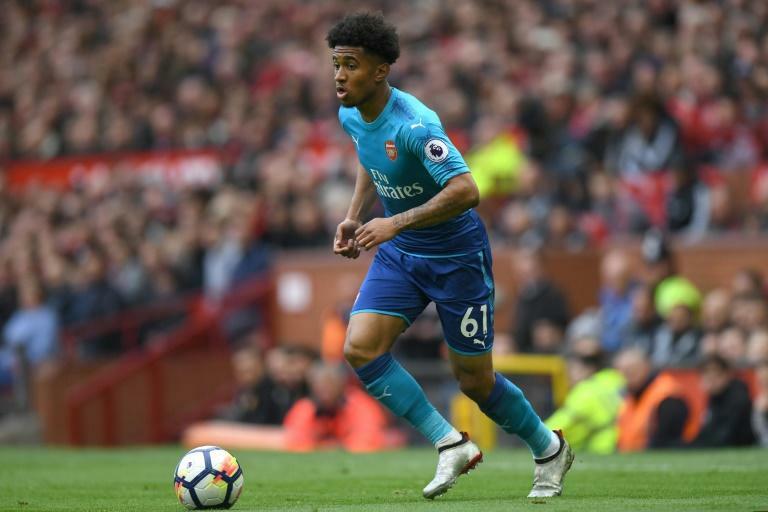 According to German magazine Kicker, Hoffenheim are set to pay the Gunners 500,000 euros ($582,945) to sign the England Under-19 winger, who can also play as an attacking midfielder, until May. "There are still some details left to finalise," said Hoffenheim coach Julian Nagelsmann with the transfer window to close in Germany on Friday. "He is similar to Serge Gnabry -- versatile and brings pace," Nagelsmann added, comparing Nelson to Bayern Munich winger Gnabry, who spent 2017/18 on loan at Hoffenheim. If the deal goes through, Nelson will be the next English starlet in the Bundesliga after Jadon Sancho, 18, his England Under-19 team-mate, who has impressed at Borussia Dortmund after switching from Manchester City. RB Leipzig are also trying to sign England Under-21 winger Ademola Lookman, 20, who impressed on loan from Everton with five goals and four assists in 11 games in the second-half of last season. Nelson is regarded as one of the brightest talents in English football having already played 16 times for the Gunners. In the Under-23 team, he has scored 17 goals with 11 assists and was named Player of the Year of the Premier League 2 last season. Nelson is needed in Sinsheim, where Hoffenheim will make their debut in the Champions League group phase this season, after striker Mark Uth was sold to Schalke and Gnabry returned to Munich. In addition, midfielders Lukas Rupp, Dennis Geiger, Kerim Demirbay and Nadiem Amiri are all out injured.